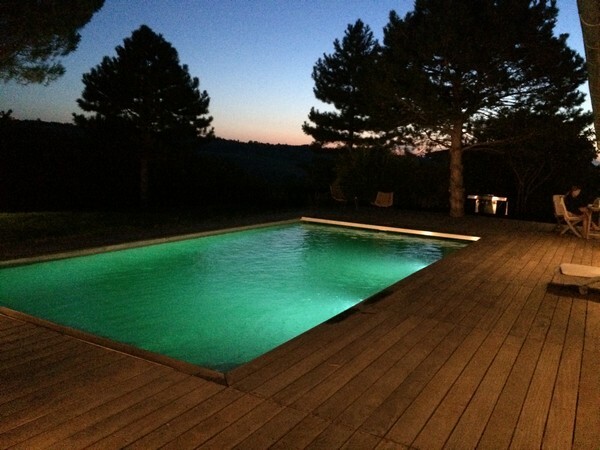 To integrate a lighting system during the construction of your concrete swimming pool means anticipating the pleasure of swimming during long summer evenings, even after sunset. What could be more pleasant than to prolong evenings around the swimming pool, when it becomes a light source? The warm summer evenings, the calming of buoyancy and the lights are a perfect combination for an intense moment of relaxation. Treat yourself and go further by choosing a lighting system with various colours for your swimming pool. Change the atmospheres and dive in a coloured and fancy pool. You will have the choice between the incandescent traditional bulbs (300W) or halogen bulbs (100W) which are energy-efficient for an equivalent lighting. 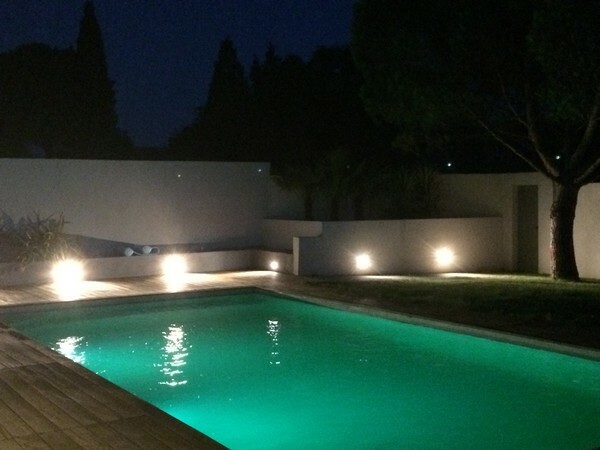 These swimming pool spotlights can be integrated directly in the concrete walls during the construction of the swimming pool or installed later on. They can either be fixed on the walls or/and at the bottom of the pool. The swimming pool spotlights can create all kinds of luminous environments to play with the reflections of water: neutral white lighting or coloured environments, depending on the different possible programs of your lighting system. The lighting of your swimming pool with the LED technology uses less electricity and thus makes it possible to save energy and money. Thanks to the LED you make an eco-friendly choice. LED bulbs and spotlights can be integrated directly in the concrete walls during the construction of the swimming pool, or added thereafter. LED lights also offer a large colour range: From standard white light to a colour range that goes from most traditional to more vivid colours. 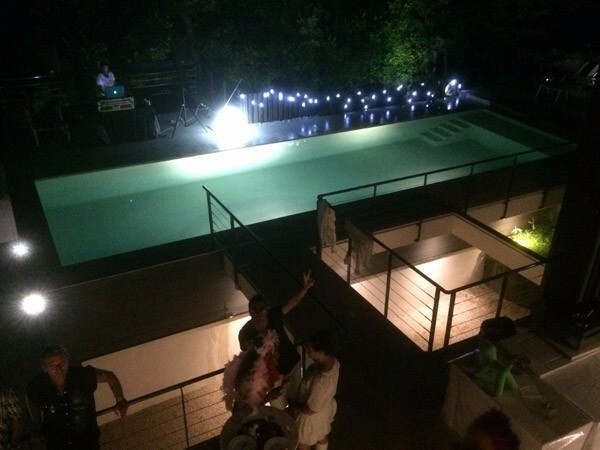 The price of a swimming pool lighting system varies according to the selected system (incandescent, halogen or LED), to the design and to the bulbs that go with it. To help you make the best choice among the different solutions for a swimming pool lighting system, tell us more about your project and our MARINAL advisers will help you to find the best solution. 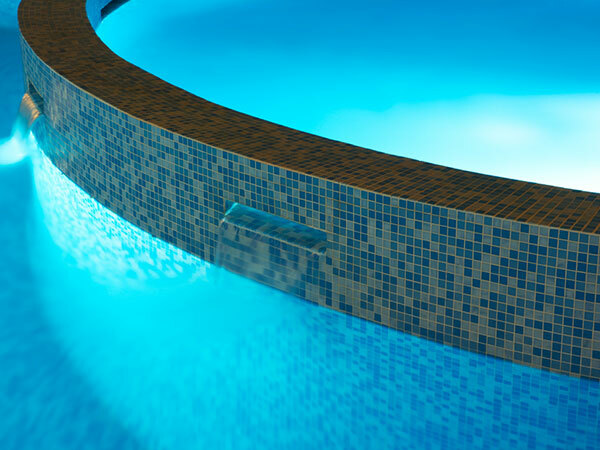 Please note: An immersed swimming pool lighting system must be installed by a specialist, whether it is during the construction of your swimming pool, or after. 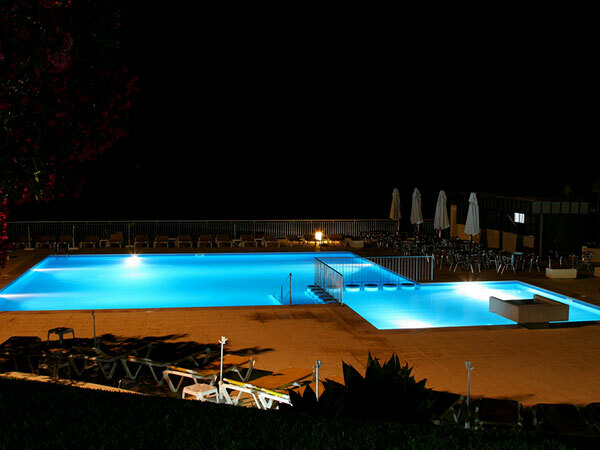 The lighting system is a very pleasant option as it allows to use the swimming pool long after sunset. Swimming in a water that changes colour is a real pleasure for children as well as for adults. 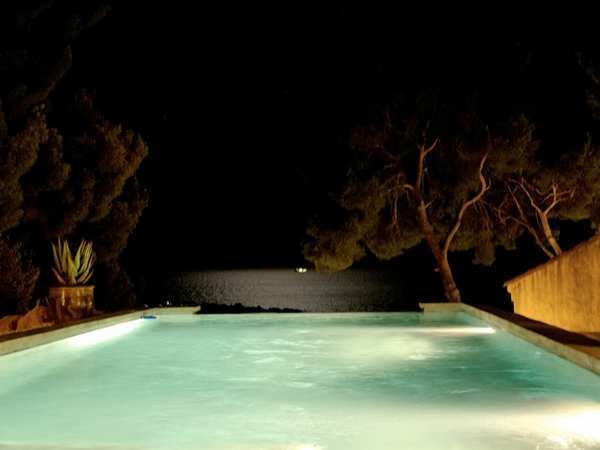 The light of your swimming pool will add a very special luminous charm to its surroundings. You will also appreciate this soft glow while you are in your patio. 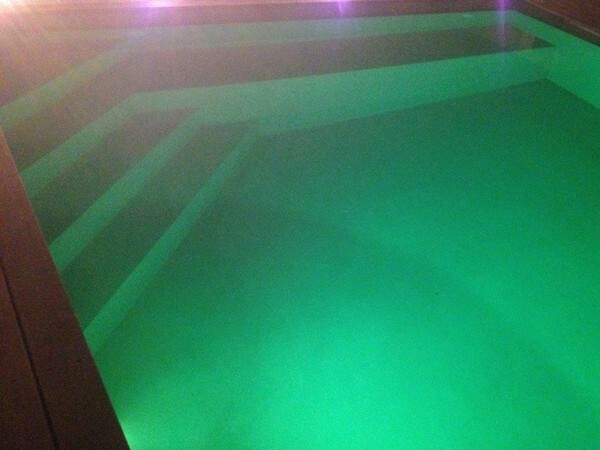 You can also imagine the lighting of your swimming pool as spotlights integrated directly in the pool deck. 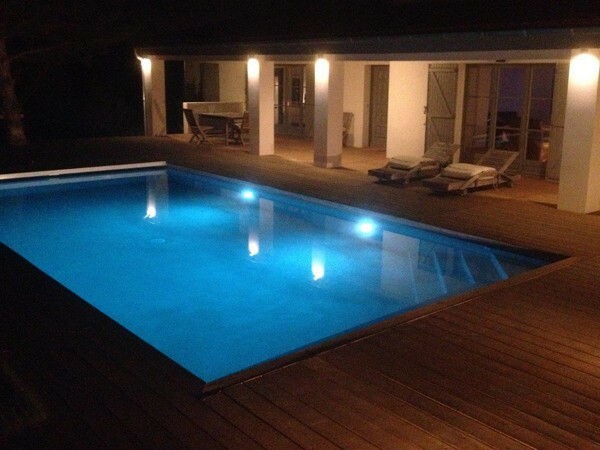 There are integrated lighting systems for every kind of pool decks: wooden decks, border tiles or stone slabs. Your Marinal adviser will put you through to our partners who are swimming pool areas professionals. They will help you to finalize your project.